So a little more about Los Cabos that we didn't already know. We already do know that it's a constant party, which especially "heats up" during Spring Break, it's a popular hangout for Sammy Hagar (and people that look like Sammy Hagar), and that it's a fabulous fishing destination for those that are so inclined. A lesser known fact is that "Los Cabos" is composed of two towns separated by a 20 mile corridor. 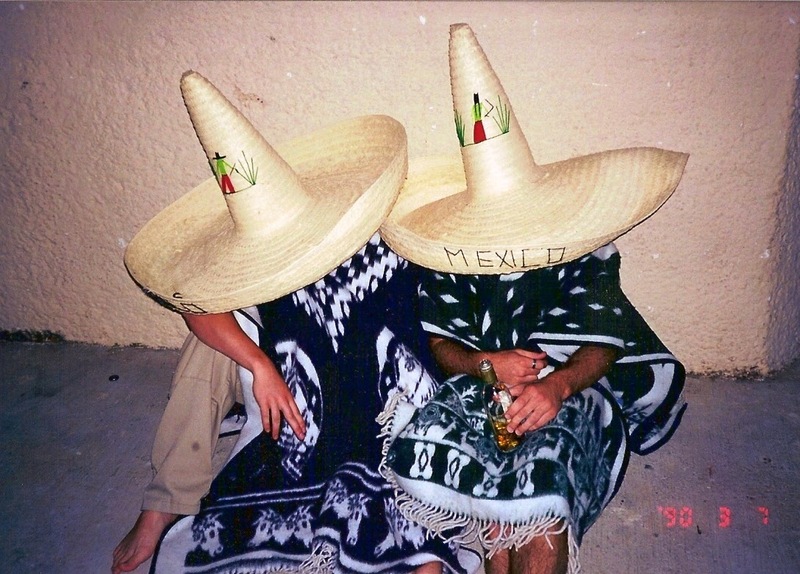 Cabo San Lucas, which sits at the very tip of the Baja Peninsula and fits the description above, is an absolutely stunning locale, which is no stranger to drunken college students and poor decision making. San Jose del Cabo, the lesser known and more respectable sister, is a bit sleepier and yet is also a very picturesque resort destination. 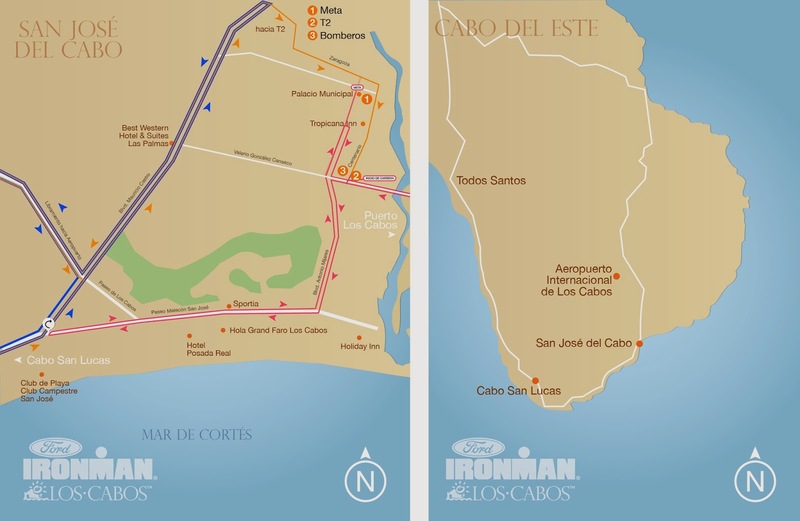 Many also don't know that San Jose del Cabo is the staging ground for the second annual Ironman Los Cabos, to take place on March 30, 2014. While I've never been to San Jose del Cabo, my previous experiences with Cabo San Lucas and Mexico in general have been less than respectable. No additional detail is needed, this pretty much sums up my previous trips south of the border. This year, however, is going to be an entirely different experience. 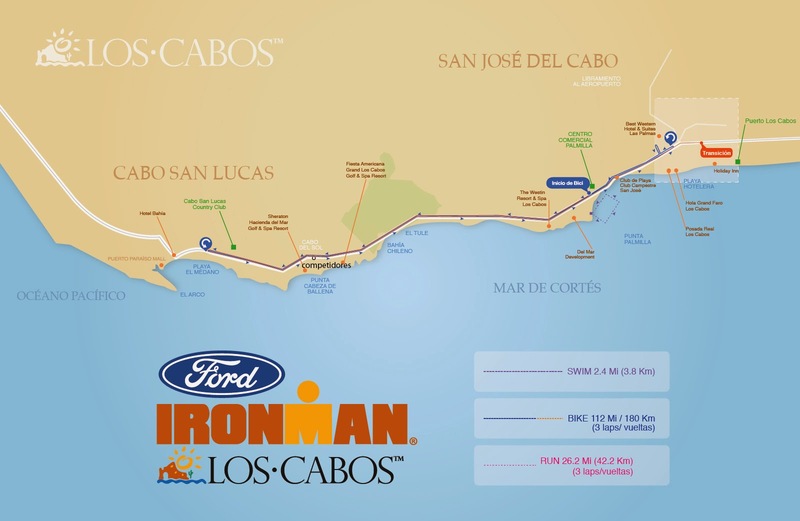 While thousands of spring breakers will descend on Los Cabos to experience a tradition of debauchery, I will be coming to swim 2.4 miles, bike 112 miles, and run 26.2 (yes, in Mexico they use the metric system, but I choose to stick to imperial, since listing the distance in kilometers seems much more daunting). 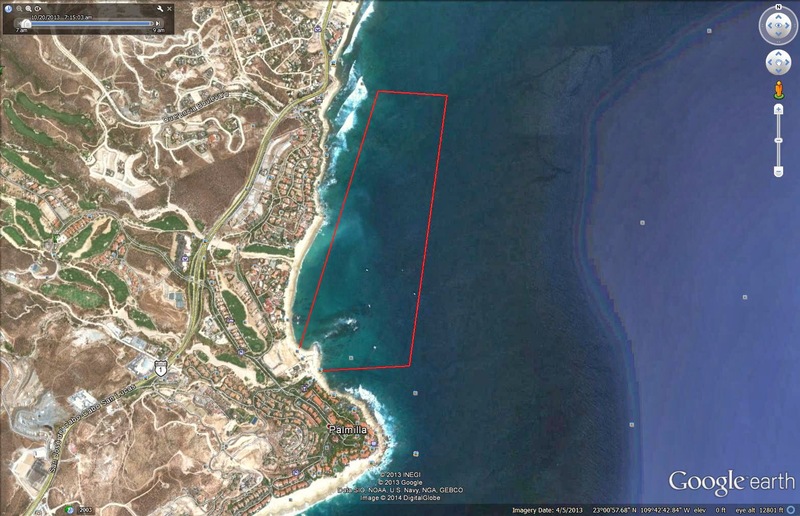 The swim begins at Pamilla Beach, a few miles from San Jose del Cabo, and takes one rectangular loop into the ocean to finish a short distance from where it begins. The water temperature historically averages about 72 F in March, but lately it has been around 74. Hopefully it doesn't creep up much higher, as the wetsuit cutoff is 76.1. At that temperature, we will not have the luxury of additional buoyancy (not to mention jellyfish protection) a wetsuit provides. From there, we will run, jog, walk, or crawl up a quick hill to where our bikes wait for us. From what I've seen, the view here is absolutely gorgeous, but we won't have much of an opportunity to appreciate it, since I will have to commence punishing myself for another 112 miles. The bike course takes a scenic tour of the Los Cabos Corridor, grazing the Easternmost end of Cabo San Lucas and Westernmost end of San Jose del Cabo for a total of 3 round trips. The challenges here will be the hills and the wind. I have done my best to acclimate to the heat by wearing ridiculous amounts of layers on even the warmest of training days, but not much can really prepare you for the wind. Tailwinds and headwinds are okay because at least it balances out a bit. The crosswinds we are likely to face are another story, since more energy is then exerted just trying to keep the bike from flying across Mexico 1. We bike into transition 2, which will be located (I think) in downtown San Jose del Cabo. From there, we say goodbye to our bikes and don our running shoes for the marathon. This will be my first marathon, and I'm not sure what to expect from the course. It is supposed to be hot, which I've done everything I can to prepare for. It's also supposed to be three "laps", which from what I've seen by the looks of last year's Garmin files will resemble more of a Cabo pub crawl rather than a marathon. In all seriousness they did their best to condense 26.2 miles into a small town, which will require a lot of switchbacks and turnarounds. The biggest challenge here, aside from finding the energy after a long day of swimming and biking, will be purely psychological. 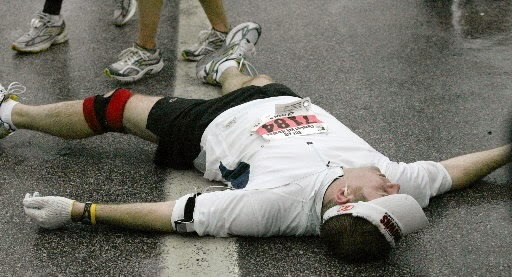 I will have to run by the finishing chute three times before actually being able to "finish" the race. Ironman Run Course. Not quite complete or accurate. Hopefully there will be a little more direction once I'm there! I arrive in Cabo on Tuesday, March 25th, a few days before the race. The intent is to acclimate further to the heat, and get a feel for the race course. My wife and my bike will both be arriving Friday, my bike via TriBike Transport. We will be staying at the host hotel, Barcelo Grand Faro (formerly Hola Grand Faro, formerly formerly Crown Plaza). That is where most of the pre-race expos and meetings will be held, so it should be a prime location. I have a few workouts scheduled during the week, but Wednesday and Friday are rest days so I won't be missing my bike too much. I do wish that I could have it for my Thursday workout, but that's not meant to be. I'll have to settle for a really quick pre-race bike ride the day before the race. Bike check in will be on Saturday, where we leave our bikes and transition bags at Punta Pamilla. From everything I've heard, a well executed plan is the best recipe for a good race day. I've already done all the training that I can do, there is no more that I can do to improve my fitness before race day. The best I can do is to fully taper and focus on the plan. I'm pretty certain I'll fall somewhere between the two. It is easy to fantasize about the best possible race, but probably not necessarily best to focus solely on that vision. 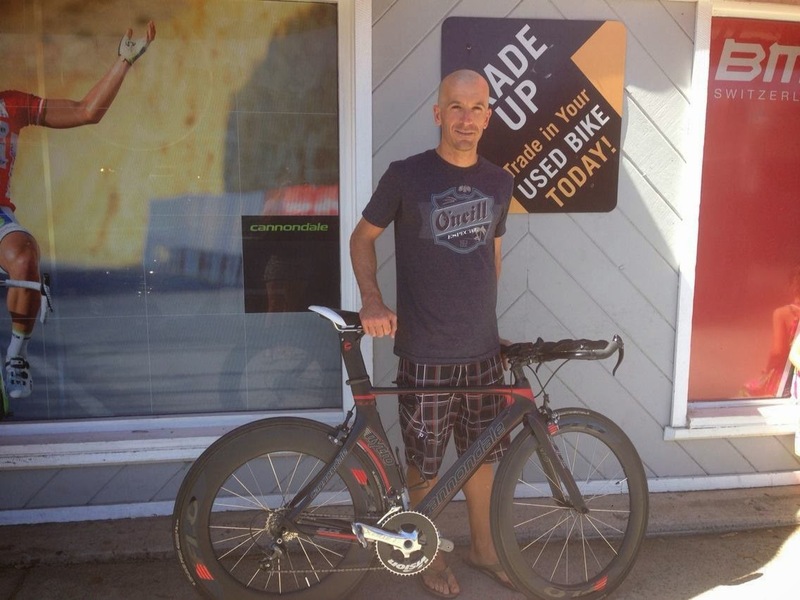 If I have the best swim I can, the best bike I can, and the best run I can, there is a chance I can be Kona-bound. But for that to happen, absolutely everything would have to go well (including some of the fittest people not showing up to this race). However, I do not have the luxury of a cushion at this point. 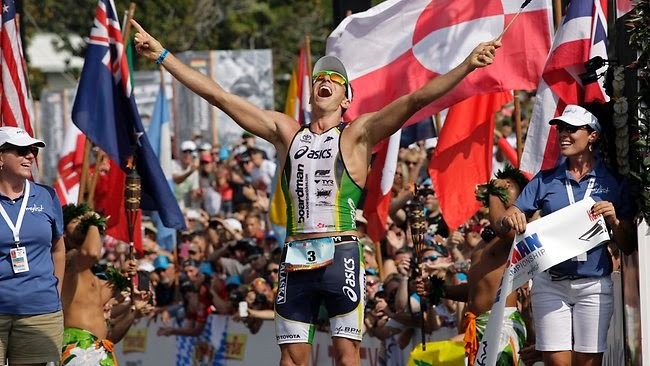 That is to say that I'm not a "tip of the spear" athlete, so much of what it would take to do well enough to secure a Kona slot would be pure luck, and therefore it can't be part of my race plan. I have to plan to have my best race given the conditions and my condition. Being my first Ironman, there is a lot I don't know of what to expect. Therefore I will be happy to finish and have a good time. As far as nutrition on race day goes, I will start my day with one of my signature smoothies, which includes bananas, fruit, and oats. On the swim I plan to drink a ton of sea water. I don't want to, but it's likely that I will, so I'm just planning on it. To avoid getting punched in the face, I will line up a few rows back from the front on the right hand side. If I do end up freaking out, I can swim out into open water and have a tantrum there, not in the middle of the melee. If all goes well, I will be out of the water within an hour and a half. During the race I plan to carry two bottles on the bike. My bottle on the aero bars will hold water, which I will refresh at the aid stations as needed. My bottle on the seat tube will hold my specialty blend of 140.6 Fluid Energizer (developed by team Mark Allen). I will have one bottle with about 1,150 calories when I start the race, and one waiting for me at special needs (at mile 56). This will amount to about 375 calories per hour. Within that bottle of sugary goodness will be about 1,100 mg per hour of sodium (mixed with magnesium and potassium) so that I can maintain electrolytes. I sweat like a wookie in a sauna, so replenishing my salts is a must. So what does this taste like? Imagine a very concentrated 7-Up without the added burden of carbonation, and voila! I will do my best to take a swig of this blend every 20 minutes with a very healthy gulp of water, a very important step as I've tried just drinking the concentrate and it gives me stomach issues (yes, Mom was right about too much sugar - but if you want to eat 3,000 calories of pure sugar, do an Ironman and you'll be golden!). If I get GI issues, it could be game over. My nutrition plan is based on a 6 hour bike ride, since I figure if it takes any longer than that, it's already not going well, so what's a little malnutrition on top of everything? On the run, I keep it just as simple as the bike. Many people like to have variety because they get bored easily with the same nutrition over the course of 10+ hours. I like to keep it simple. I will be diluting some Honey Stingers in water and keeping them in my fuel belt. For the run I will be taking in about 300 calories and 1,000 mg of salt per hour. My nutrition plan is essentially "less is more". Based on my experience, I would rather be calorie deficient than bloated and gassy (for the benefit of other racers as well. There's enough good food in Mexico to give me the latter). I've trained for the past year in becoming a fat burning machine, so I'm putting that to the test, and hoping I don't have to rely too heavily on carbohydrates. If it turns out I do need more calories, that's what aid stations are for. That's plan B.
I will say that I know exactly what my plan is immediately following the race. It is to fill my face with an enormous burrito as quickly as humanly possible. Yes, I know that a burrito is not authentic Mexican cuisine, but I don't care. At that point I will want someone to stuff as much food as possible into a flour tortilla and hand it over to me for immediate consumption... But I suppose I'll settle for whatever's available. Next week when I do arrive in Cabo, I will be posting more frequent updates. Stay tuned for that. In the meantime, thanks again to everyone for all the support and well wishes. Regardless of the outcome, it has been a blast, and we raised well over $3,000 for some good causes! This will certainly be a celebration of that generosity. Leaving my bike for TriBike Transport. See you in a week!